Welcome to Day #16 of Chocolate and Spice Theme Week. Note: Due to the seemingly abundant supply new chocolates available in the universe, we're once again altering time and space a bit to accommodate an 18-day chocolate theme "week." Yes, we know there are only 7 days in a regular, boring week. We hope you'll forgive us. 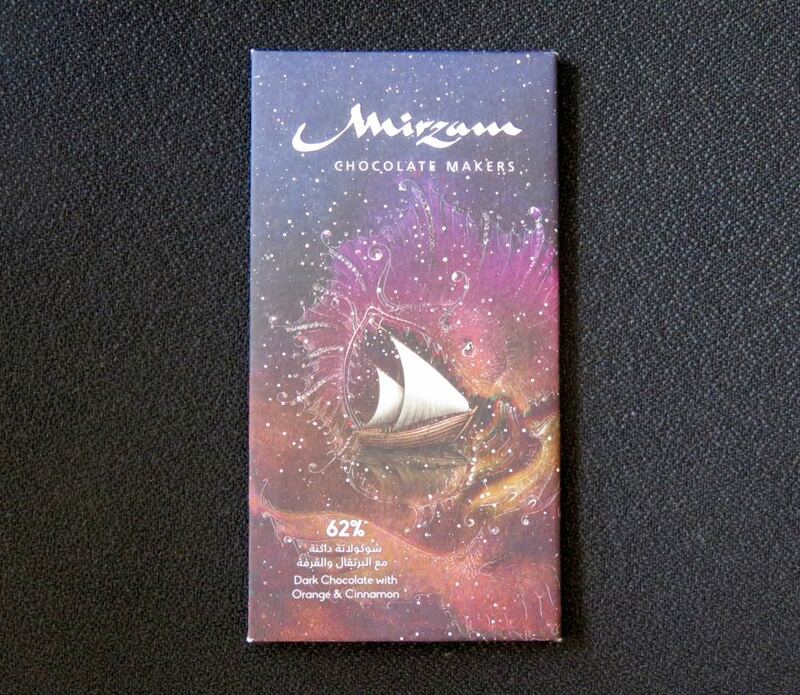 Today's 62% Dark Chocolate with Orange and Cinnamon bar was crafted in Dubai by www.mirzam.com (Dubai, United Arab Emirates (UAE)), part of Kakaw Manufacturing Co. LLC (a food and beverages importer in UAE). 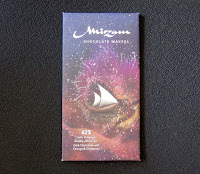 Kathy Johnston, Mirzam's chief chocolate officer, helped launch the Mirzam Craft Chocolate factory (in 2016) in Dubai's Al Serkal Avenue artisan district, while she was also working on her own operation in Switzerland. 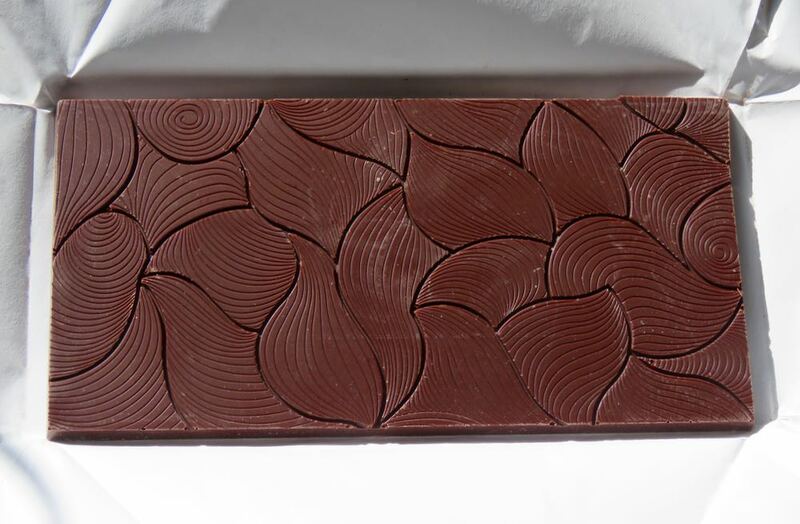 The company has sourced cacao from plantations that are "ideally" on ancient Arab trading and spice routes (which were quite widespread globally, including locations such as Vietnam, Indonesia, Madagascar, India and Papua New Guinea). And inclusions in the company's line of bars include local items such as dates/date syrup. The Mirzam story tagline is a romantic one: "Following the celestial map of the maritime spice route to gather stories of spices and sea monsters." *Mirzam is the name of a bright star in the constellation Canis Major.